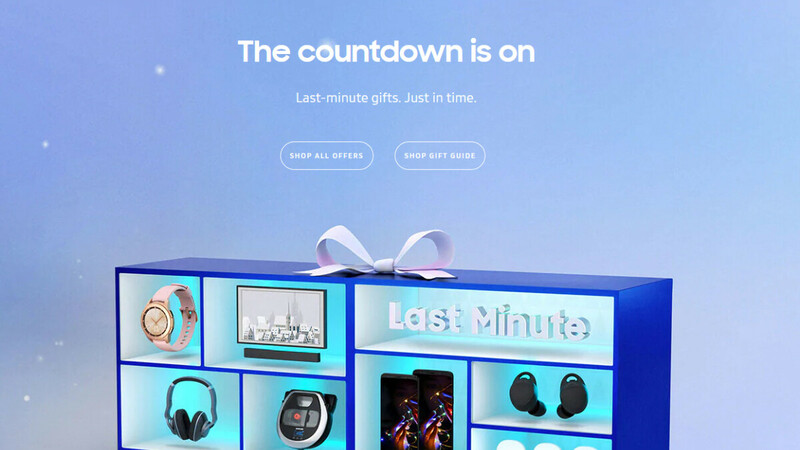 After Black Friday and Cyber Monday, Samsung is running yet another promotion on its website, which includes deals on smartphones, tablets, accessories, smartwatches, and other products. All Samsung's flagships from this year are on sale as well, so either you want an unlocked phone or a carrier-bound model, this sale has you covered. But let's take a look at what this last-minute holiday sale is all about and whether or not it's worth buying anything. Well, first off, we have the Samsung Galaxy S9/S9+ and Note 9, which are on sale for up to $300 off, but for the lowest price, you'll have to choose to buy it with a carrier plan. For example, Verizon, AT&T, and Sprint Galaxy Note 9 models are $300 off right now, and that's not counting the fact that you can get an additional $300 discount through Samsung's trade-in program. If you choose T-Mobile or U.S. Cellular, you'll only get a $200 instant discount on the Samsung Galaxy Note 9, but you'll have to buy it with a payment plan of course. On the other hand, AT&T, Sprint and Verizon Galaxy S9+ models are $250 off, while T-Mobile and U.S. Cellular version have a $200 discount. The standard Galaxy S9 model is just $200 off from all U.S. carriers. If you prefer the unlocked model, then all three flagships (Samsung Galaxy S9, S9+ and Note 9) are $100 off, so not that great of a deal. It's worth mentioning that customers will get free shipping if they place their order by noon EST on December 18.